Ryan’s position on the board provides Fox with a politically connected ally who can help advocate on behalf of the company. Fox Corporation debuted as a public company on Tuesday with a new board member — former House Speaker Paul Ryan. The company, which includes Fox News and the Fox broadcasting network, had been dubbed by some in the media industry as "New Fox." On Tuesday it announced the completion of its separation from 21st Century Fox, which houses the company's TV and movie assets that are being acquired by Walt Disney Co. The new entity will trade on the Nasdaq exchange. Ryan, a Wisconsin Republican, stepped down as speaker in January after about 20 years in the House, saying he wanted to spend more time with his family. Ryan’s position on the board provides Fox with a politically connected ally who can help advocate on behalf of the company, which is expected to attempt to acquire other media companies. Fox's domestic news and cable sports businesses will account for 86 percent of the new company’s earnings, according to an investor note shared by Michael Nathanson, co-founder of the independent equity research firm MoffettNathanson. Nathanson noted that Fox is about to start renewing its distribution deals with the satellite operator Dish and the cable company Charter Communications that expire in 2019. Ryan is one of four new directors joining the company, the company said. The others include Chase Carey, the former president and chief operating officer of 21st Century Fox, who left and later joined Liberty Media’s Formula One as chief executive; Anne Dias, the founder of Aragon Global Holdings, a media and tech investment fund; and Roland Hernandez, a former chief executive of Telemundo Group who is founding principal and chief executive of Hernandez Media Ventures. 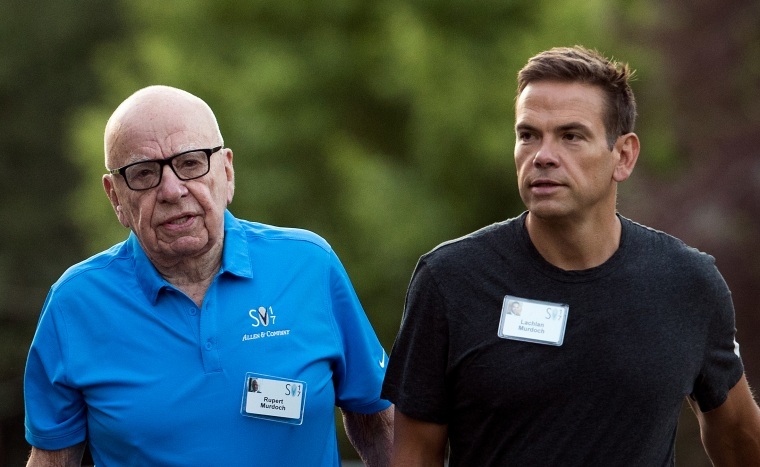 The previously announced board members include Rupert Murdoch, Fox co-chairman; Lachlan Murdoch, Fox chief executive and co-chairman; and Jacques Nasser, the former Ford Motors chief executive. The announcement also said that Disney's acquisition of 21st Century Fox will become effective at 12:02 a.m. ET on Wednesday.